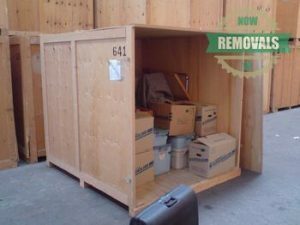 As a vetted and dedicated domestic and commercial removal business, we at Now Removals know how important a storage service can be to our customers. That is namely why we have one of the most highly protected and well-maintained storage facilities in London. If you hire us, we can quickly find a suitable storage solution for your specific needs. In addition to that, we do our best to improve our security measures by frequently updating them or adding new safety measures in our storage facilities across London. The access to each of our storage rooms is very limited since it is under a strict control. Only a customer who has rented a given unit can open it. The London removal team consists of trained and experienced professionals who are very alert and incredibly devoted to their work. Therefore, you can sleep well at night, knowing that your possessions are safe with us. Similar Now Removals’ other services, our storage solutions come at a very affordable price. Our rates are quite flexible and can suit the needs and removal budget of both domestic and business clients. Whether you want to use our storage rooms for a short or a long period of time, you will enjoy pocket-friendly prices. Our storage rooms are available with various dimensions, allowing customers to store small personal items and furniture pieces or bulky office and commercial equipment. If you are not certain about what type of storage unit will be the best option for you, Now Removals’ seasoned and polite advisers will be glad to help and guide you. With a population of over 8.67 million and annual tourist rate of more than 15 million per year, London is definitely a busy city. It is rarely boring in the English capital, since it hosts various events on annual basis. One of the most entertaining of them is the Notting Hill Carnival, which was first held in 1966. Known as world’s second biggest street parade, the carnival passes through Notting Hill and the Royal Borough of Kensington and Chelsea.